This position offers the right candidate an opportunity of the best pay rates in the industry and some travel requirements. If you are ready to make a move and think you have what it takes then it is time to contact us. This is a year round position with consistent work load. 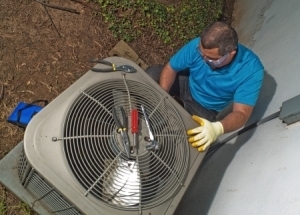 Responsible for the installation of HVAC equipment, ductwork and associated materials for new construction, retrofit/replacement of Commercial and Industrial HVAC equipment. Experience in split system installation and retrofit. Experience in RTU replacement, retrofit and start up. Must have own tools and dependable transportation. Background check and DOT physical with drug screen. 3 to 5 years verifiable experience required. Must be able to work in a team environment with supervision from the Project Manager.